A canvassers guide provided for Labour canvassers during the 2014 Local and European Elections campaign. This one is also Kerry specific giving details of various things in Kerry that benefited from Labour being in Government. 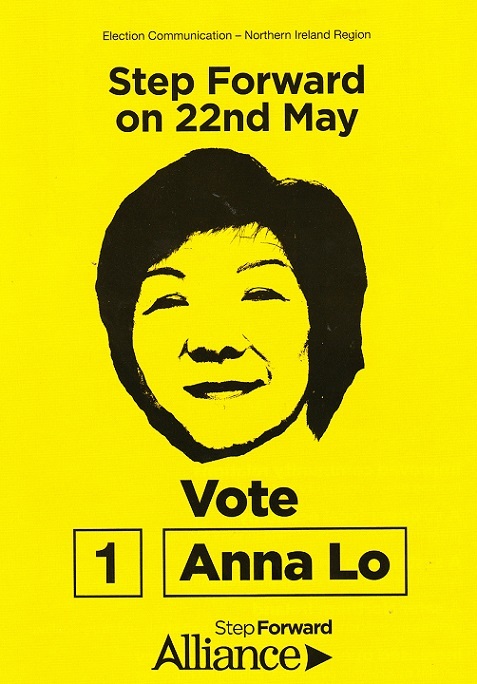 A leaflet from MLA Anna Lo who was running for the Alliance Party in the 2014 European Elections in Northern Ireland. A flyer distributed during the 2014 Local and European Elections Campaign by The Life Institute asking voters to “Vote Pro-Life”. The Election Communication from Sinn Fein MEP for Northern Ireland, Martina Anderson from the 2014 European Elections. 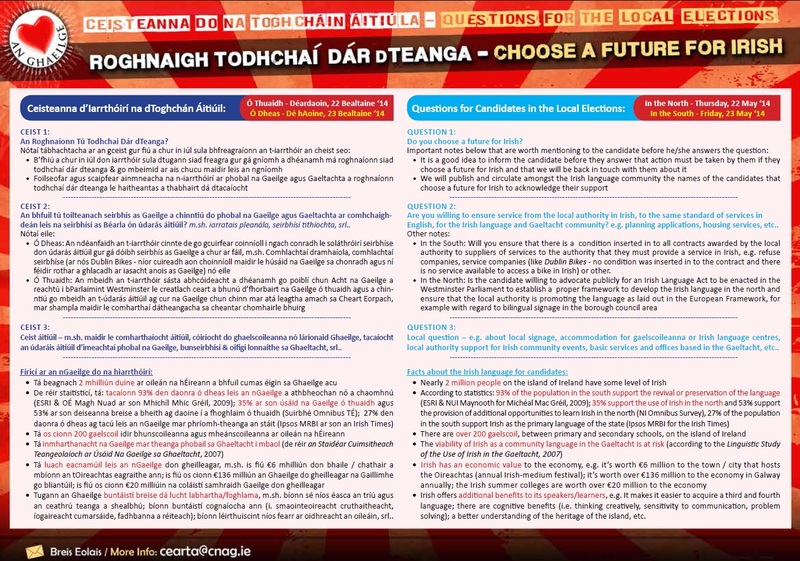 Th Litir Um Thoghchán from Dónal Ó’Ríordáin who is running in the 2014 European Elections for Fís Nua in Ireland South.